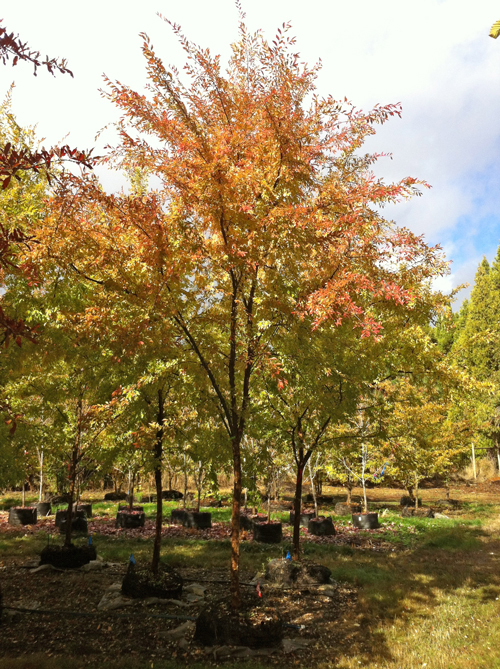 The Japanese Hornbeam is a beautiful, medium-sized, shade tree of 20 to 40ft. The prominently corrugated leaves are wavy, 2 tp 4 inches long, and turn a medium yellow in the fall. This densely branched tree grows in a rounded fan-shape and bears profuse crops of decorative paper catkins in summer and fall. We find ourselves recommending this one often. Plant in full sun or partial shade.